At Baeten’s Nursery & Greenhouses, we carry a tremendous selection of beautiful garden décor to complement and enhance your home and garden. 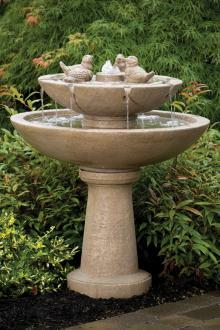 Show your personal style and artistic nature with garden décor, such as statues, wind art, urns, benches, arbors, garden flags, bird baths and fountains. 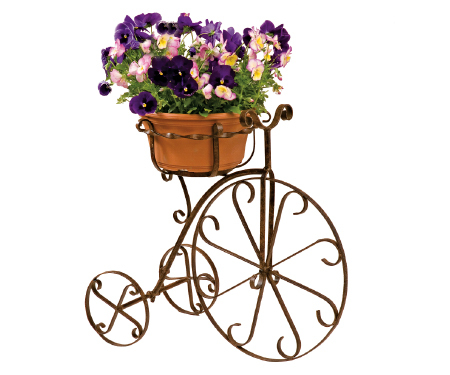 Check out our pots, urns, hanging baskets, wall planters, window boxes and much more in all sizes, shapes and colors. What’s great about container gardens is that the containers themselves are stylish. They can add a special look and feel to your garden, just like your favorite flowers and foliage. Every fall Todd and Steve make a trip to Atlantic City to a trade show and when they return they are excited about all the goodies they order for the following year. So throughout the winter we start getting the items that they ordered. It’s always a surprise to unpack the boxes and see what we got. So in addition to the more traditional garden decor we have some real fun things for the garden. This year we are carrying a line of benches and wall art from ‘Painted Sky Design’ They are beautiful and durable. 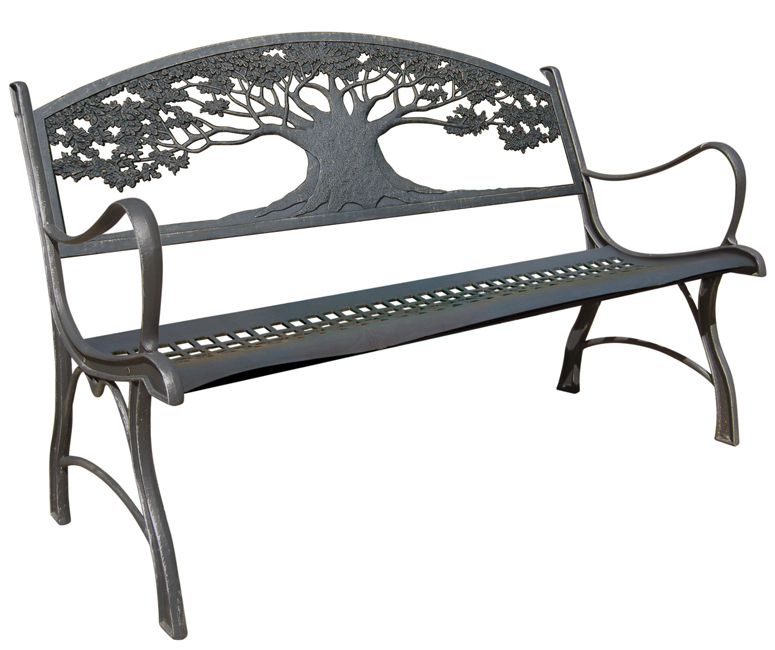 The cast iron benches are part of their premium line of maintenance-free outdoor furniture and our best selling product. The tough powder-coat finish is highly rust resistant. The bench weighs in at a stout 104 lbs. and assembles easily with 8 bolts. The finish is bronze colored with gold highlights. 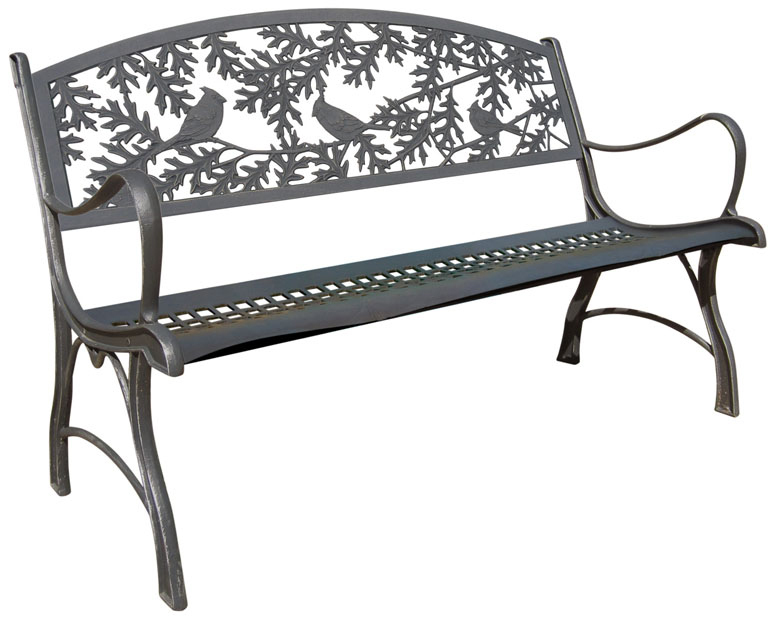 Deer Park Ironworks planters are made with durable powder coated finishes – built for weather resistance. This French bicycle makes a great garden centerpiece with its lovely natural patina appearance that will complement any decor. Whimsical planters are a great conversation piece. Good for both indoor/outdoor use. Fitted rubber feet protect flooring. 22″ L x 10″ D x 19″ H. Holds a 10″ pot. Flowers not included. Kinetic wind sculptures capture the imagination as they spin, twirl and dance in the breeze as though they have a life of their own. Watching them can be quite mesmerizing. 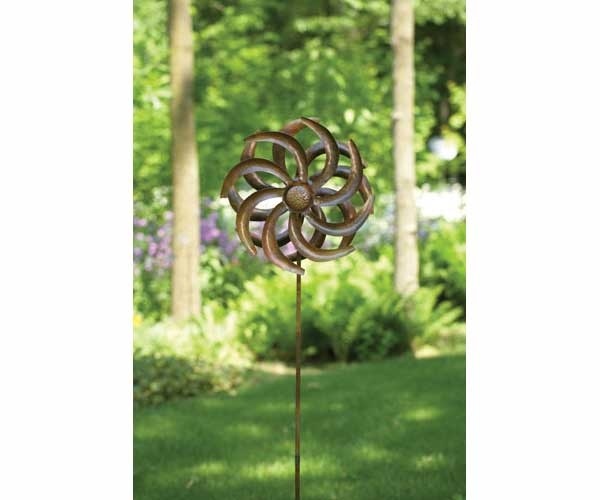 If you are looking for a delightful conversation starter, why not add a kinetic wind sculpture to your yard? 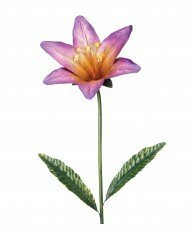 Regal Garden Stakes will add cheer and vibrancy to your lawn or garden. These stakes are hand-painted in vibrant colors with a durable finish. Made to be weather-resistant for many years of enjoyment. 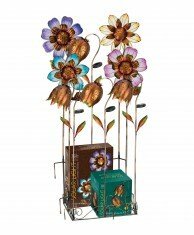 During the day, these Regal Solar Garden Stakes enhance walkways and gardens with splashes of color. The energy-saving LED harnesses the sun’s rays and automatically illuminates your outdoor space at night. Solar Garden Stakes are available in a wide variety of color and styles. 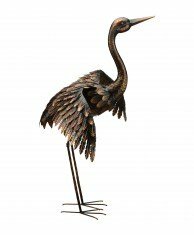 Regal Art & Gift’s collection of metal Bird Statuaries is one of our top selling categories. 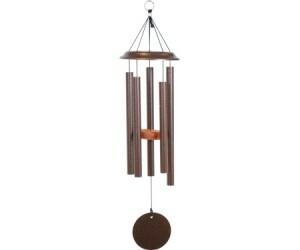 These durable metal fabricated birds are of a high quality design and are a fantastic value for their size and presence. Weather-resistant paint and finishes make them suitable for indoor or outdoor use. A ground stake is provided for stability in the lawn or garden. 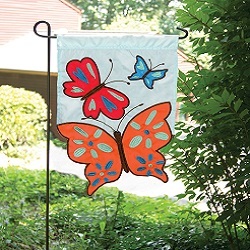 We carry a large selection of Seasonal Garden Flags in two sizes. Stakes and poles are also available .